Terraced dreams in Williamsburg! 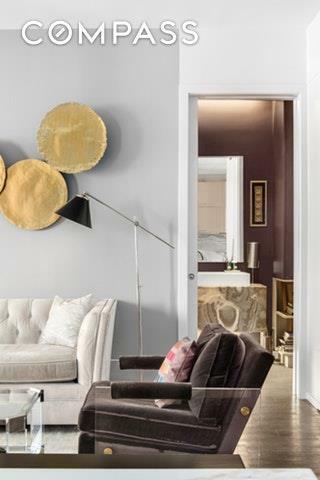 One of the highest-designed one bedrooms ever to come to market in the neighborhood, 2-H is ready for its next owner. Located within the iconic McCarren Hotel and Residences, this former two bedroom (now one bedroom), one-and-a-half bath home boasts a 533 square foot terrace directly overlooking the outdoor, saltwater pool of the building, offering a lifestyle rarely ever found in New York City. The home, with a 919 square foot interior, was fully custom built by the current owner. Enter and be greeted immediately by the large, open space and high ceilings, accentuated by floor-to-ceiling glass on the northern end of the apartment. The open-plan kitchen has stunning calacatta marble on the island, countertop and backsplash, chef's appliances including Bosch, Liebherr and Miele, custom Lineadecor cabinetry, and a coveted disposal. The living room is defined by its size, large enough for multiple seating areas as well as a built-in home office area. A smarthome system controls the lighting, surround sound installed speakers, and HVAC. 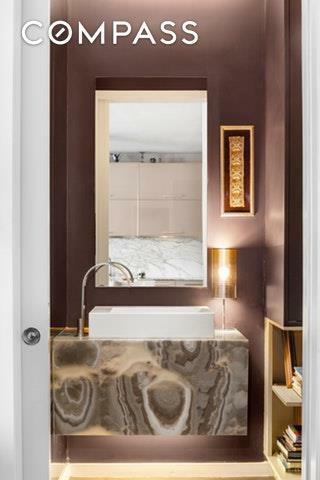 There is a guest bath with a backlit onyx vanity, Duravit fixtures, and sleek black tile. 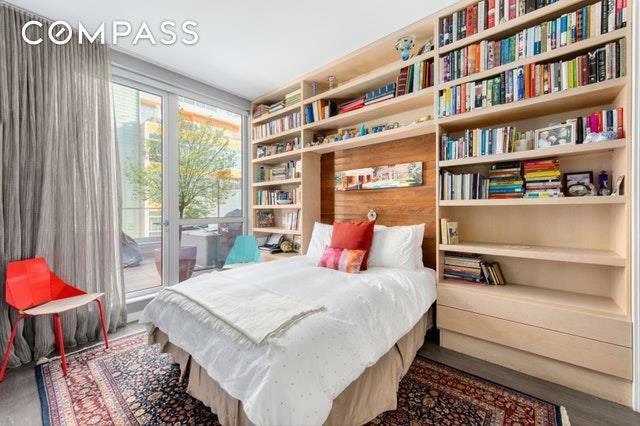 The master suite overlooks the terrace as well, and has custom built bookshelves as well as an enormous walk-in closet outfitted with California Closets. The four-piece master bath is complete with a multi-jet walk-in shower, custom medicine cabinets, heated floors, and a Toto toilet.The terrace, one of the largest in the building, includes custom lighting and speakers, ceramic flooring, and planters. Built with entertaining in mind, it overlooks the only outdoor saltwater pool in the city, and has space enough for multiple outdoor tables, lounge chairs, and a grill.The Residences at Williamsburg is ideally located on North 11th Street between Bedford and Berry, just south of McCarren Park and with direct access to the G and L trains. Amenities in the building include a part-time doorman, rooftop bar, full service saltwater pool, fitness center, billiard's room, lounge, and available housekeeping, valet, parking and concierge services.